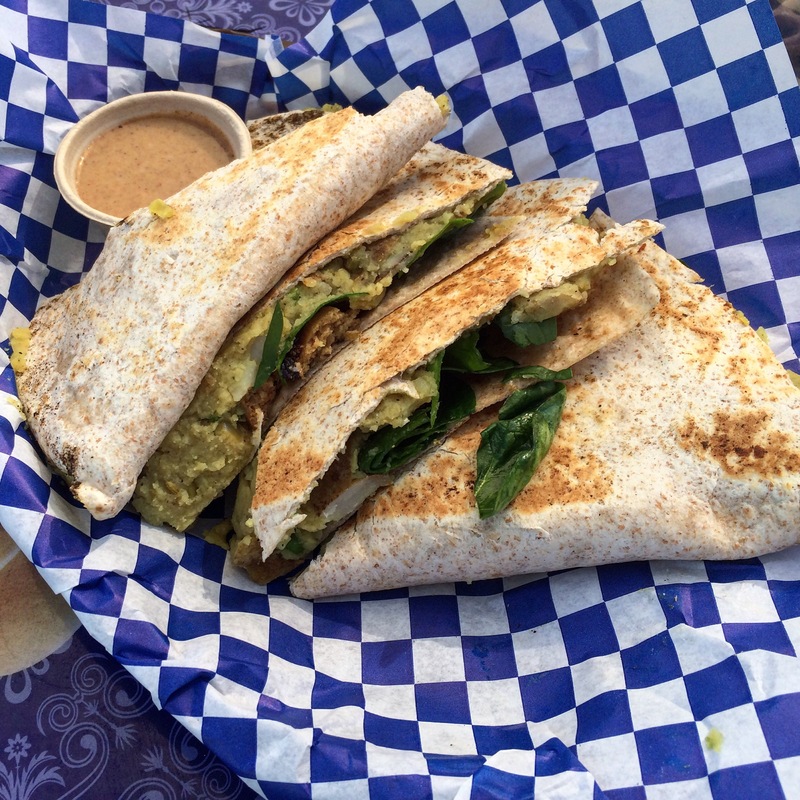 The Austin vegan world seems to have come full circle. Years ago Counter Culture opened as a trailer on North Loop. Then it became so popular the owner Sue was able to open up a brick and mortar Counter Culture restaurant on Ceaser Chavez. 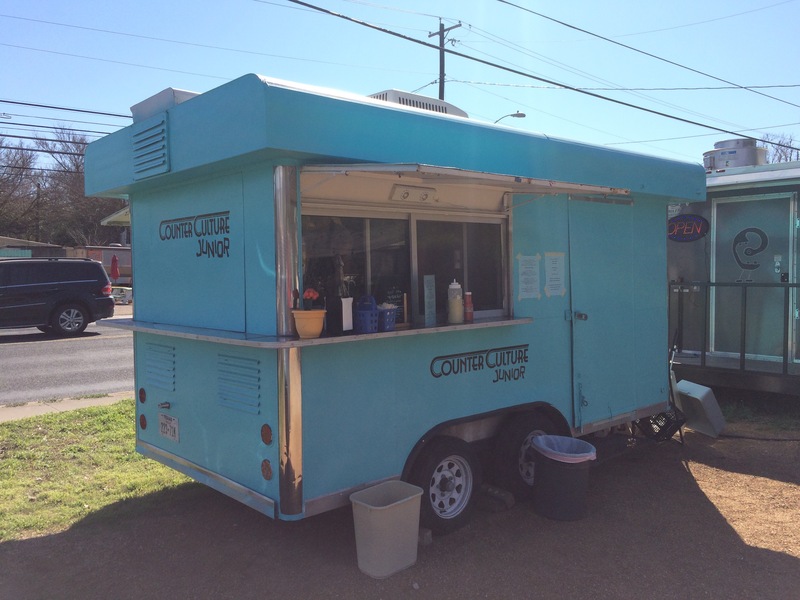 That restaurant has been so success that Sue bought back her old trailer to open up a South Austin Trailer. Best part is that it’s right next to Rabbit Food Grocery so you can pop in and pick up some groceries while you wait for your food. So far it’s a soft opening and the menu is going to rotate but I tried -and loved- the samosa quesadillas with 5-spice seitan! The tacos are getting rave reviews too. I can’t wait to try it all. This entry was posted in Austin on February 5, 2016 by lazysmurf. That’s so cool that you can do your vegan shopping & eating all in one location!